Munich - Seven players from the Bundesliga have made the shortlist for the FIFA Ballon d’Or 2013 award, six of them from FC Bayern München. The competition is no doubt fierce, but if the prize is given to reward consistency, professionalism and incredible leadership, not many voters can look past Philipp Lahm. Bayern’s long-serving right-back led the German record title-holders to an unprecedented quadruple in 2012/13 and made his 100th international appearance for Germany at the beginning of this season. Few would have begrudged Lahm his personal moment of joy on the balcony of the Munich city hall in June, overlooking a packed Marienplatz on an unseasonably cold June afternoon having lifted the UEFA Champions League, DFB Cup and Bundesliga titles. For somebody born in the Bavarian capital, his delight and pride were clear for all to see. It was the result of eight months of hard and dedicated labour. Bayern embodied Lahm's own will and determination on their march to glory, and they were inspired by their unwavering captain. "He's probably the best full-back in the world," said Germany coach Joachim Löw. Few would doubt Löw's assertion, with Lahm admired across the globe for his strength in the full-back role. Yet that is not all that can be said of the man who recently celebrated his 30th birthday, a little over a decade after he took his Bundesliga bow. 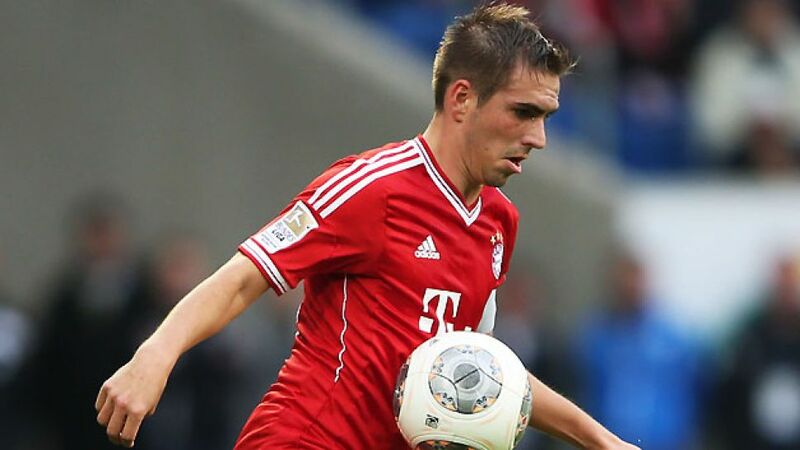 Lahm had previously underlined his versatility by appearing at both left and right full-back positions for club and country. This season, however, Pep Guardiola has also fielded him in a defensive midfield role, one in which he has shone. "Philipp is probably the only player in Germany who can play in every single position," added Löw. "You can stick him wherever you want – he won't let you down." Traditionally there is a propensity to plump for attacking players when the votes for the FIFA Ballon d'Or are cast, but if a defender were to follow Italy's 2006 World Cup winning captain Fabio Cannavaro into the hall of fame, Lahm would most certainly be the man to do it.